In recent years, progress in the field of virology has advanced at an unprecedented rate. Issues such as AIDS have brought the subject firmly into the public domain and its study is no longer confined solely to specialist groups. 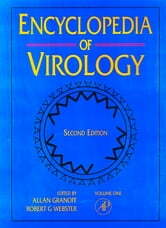 The Encyclopedia of Virology is the largest single reference source of current virological knowledge. It is also the first to bring together all aspects of the subject for a wide variety of readers. Unique in its use of concise 'mini-review' articles, the material covers biological, molecular, and medical topics concerning viruses in animals, plants, bacteria, and insects. More general articles focus on the effects of viruses on the immune system, the role of viruses in disease, oncology, gene therapy, and evolution, plus a wide range of related topics. Drawing on the latest research, the editors have produced the definitive source for both specialist and general readers. 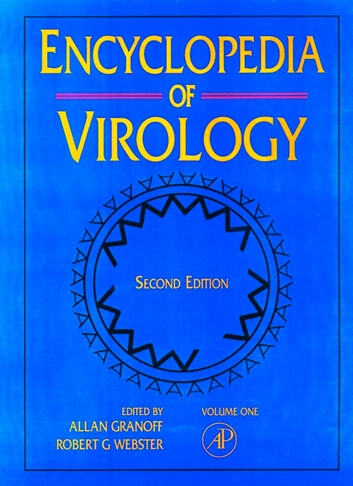 Easy-to-use and meticulously organized, the Encyclopedia of Virology clarifies and illuminates one of the most complex areas of contemporary study. It will prove an invaluable addition to libraries, universities, medical and nursing schools, and research institutions around the world. The Second Edition has been thoroughly updated with approximately 40 new articles. This edition includes more illustrations and color plates in each volume.